I came up with this in class, also this is my first Fan-fiction I've written so hope you all enjoy if you read it. What will happen when you meet Toby Rogers? You read that right! 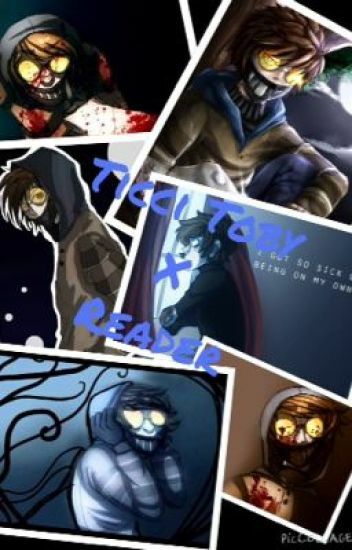 The Toby Rogers, better known as Ticci Toby, a very well known killer. Will you geek out? Will you get killed? Will you fall in love? Or will you hate him? Find out in this adventurous fanfiction! You Leave your house, never wanting to go back. Your mom hates you, she cuts and punches you all the time. No one knows, you cry yourself to sleep every night. You run deep into the woods and never return, who will you meet...? Who knows until you read! You were depressed. You wanted to hurt yourself, kill yourself. Your parents wanted to help so you were given medication. This medication made you insane. One day, when you were given it, you were uncontrollable. You killed your parents. A Creepypasta found out and brought you home. You still took this Medication when you were depressed though.